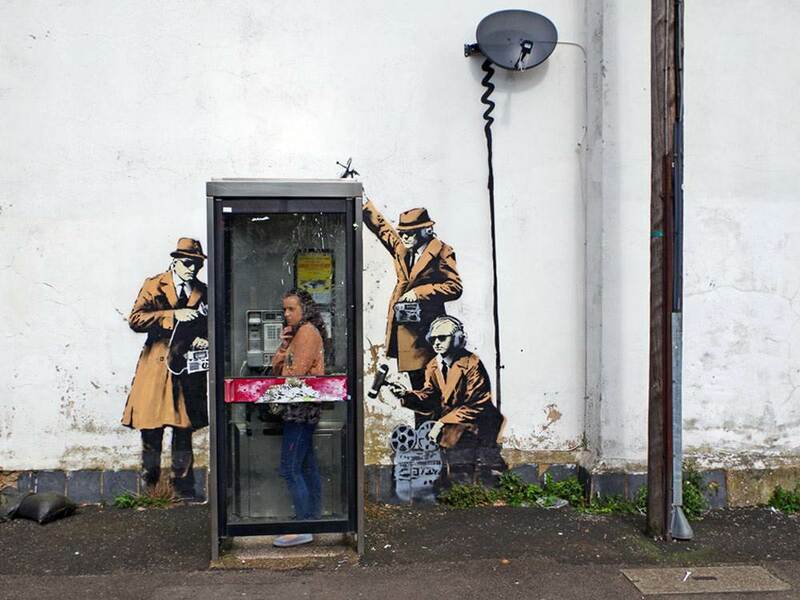 Situational irony: for someone who doesn't want to be recognized, Banksy sure is famous. Fans have equal level of curiosity for both Banksy the person and his creations, and that includes me. 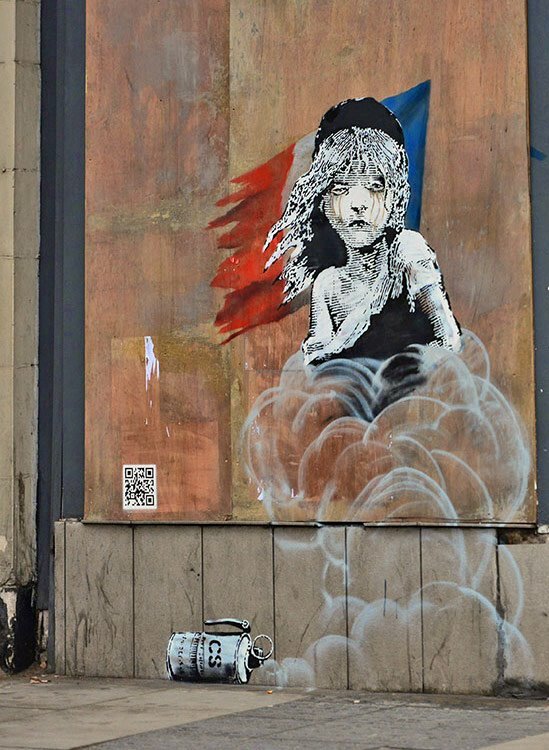 In fact, one of my dreams is to see all of his artworks all over the world. I'm not dismissing seeing him in action, but I think I have a better chance of spotting a unicorn. 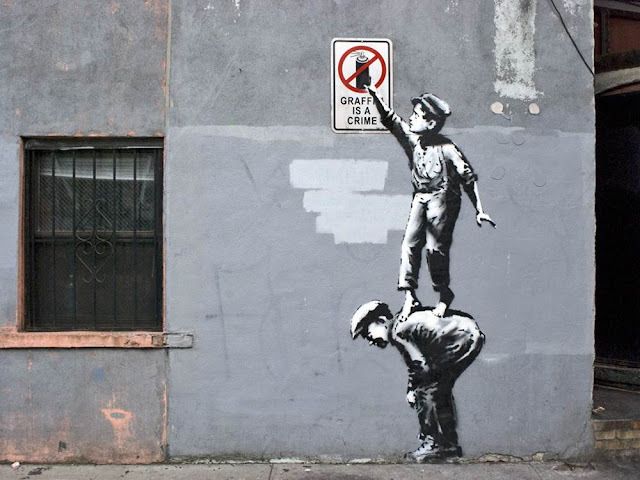 Sure, he's been tagged as a repro of Blek Le Rat, but it is his anonymity that makes him more interesting. Given the political slant attached to his work, it comes as no surprise that he evades the public eye so much. His enigmatic persona has become such a strong pull that some people went to great lengths to investigate. 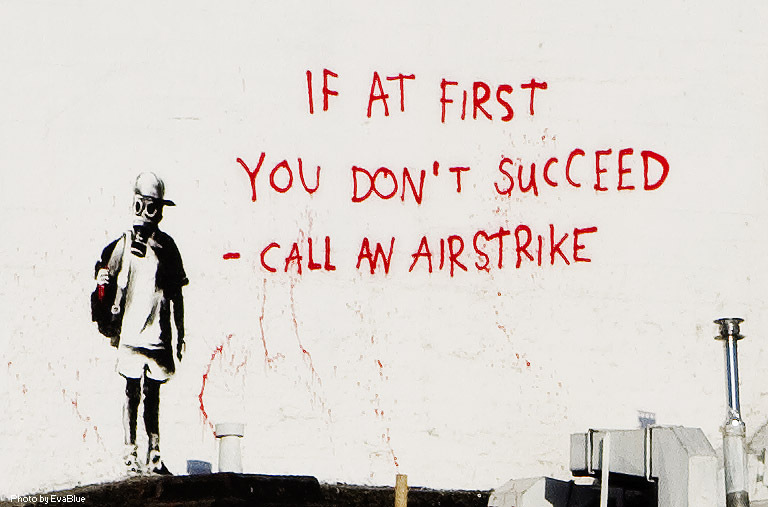 A couple of days ago, Craig Williams blogged about his theory that Banksy is not just one person, but a group of creative stencil freaks headed by Massive Attack's Robert del Naja. Basically, his premise is supported by the stencils cropping up wherever the band is. Not bad. That actually makes sense. It barely matters to me who Banksy really is or what he is. I say leave him/her/them alone. 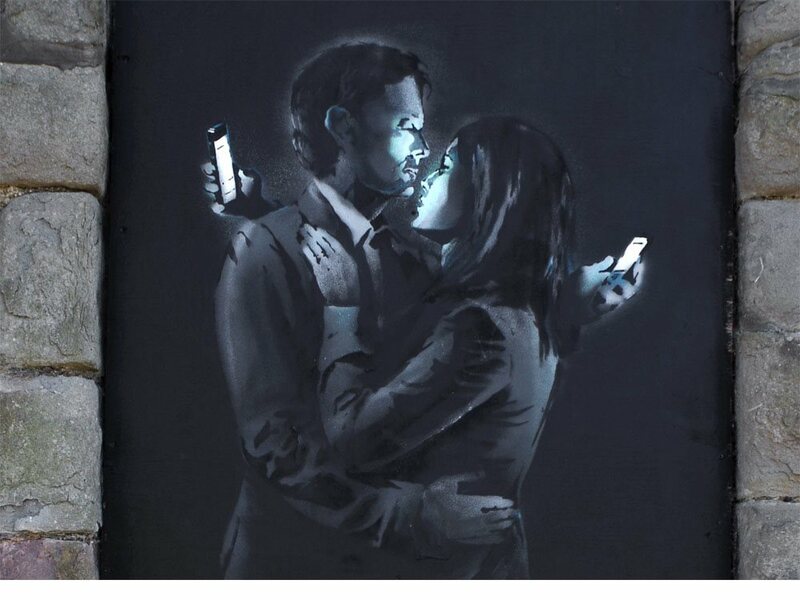 Banksy's creating awareness through cool art, and that's all that matters. Lest we forget what Banksy once said: "I don't know why people are so keen to put the details of their private life in public; they forget that invisibility is a superpower." As long as you're putting it to good use, it is!